A series of public meetings about the decision NB Power is facing about the Mactaquac Generating Station began Tuesday, with most residents in the immediate area of the dam expressing their concerns about the prospect of the dam being removed. 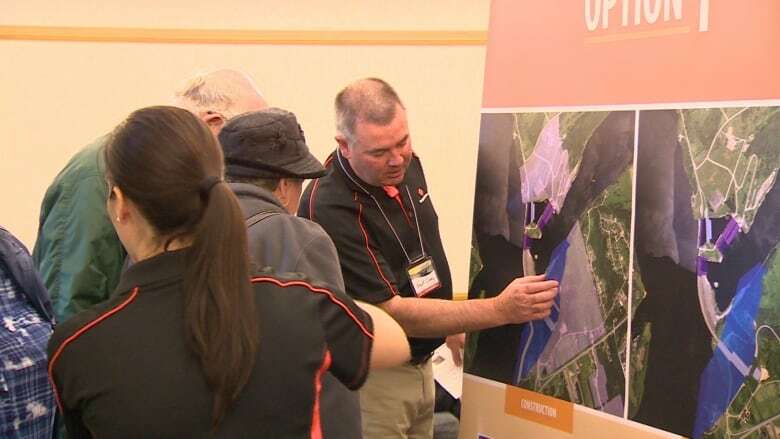 A series of public meetings about the decision NB Power is facing about the Mactaquac Generating Station began Tuesday, with most residents in the immediate area expressing their concerns about the prospect of the dam being removed. NB Power must decide whether to rebuild, replace or remove the dam before 2030, at which time it is expected to reach the end of its life because of the facility's deteriorating condition. Bob McPherson of Mactaquac Heights has a water view of the headpond and attended the open house. He told CBC he was not in favour of the dam being removed. "Of course, I have a great interest because the decision that people are going to make affects everyone in the St. John River Valley, particularly those who have waterfront property," he said. "I don't have waterfront property, but I look at it. The project is expected to cost anywhere from $2 billion to $5 billion. "Remember that I'm an old man and I'm going to be dead before people have to refurbish this," said McPherson. "I would think to refurbish the existing power plant and keep it running as long as possible makes the most sense to me, but that's because I'm not going to be here." An offical with NB Power points out some of the details with the option of repowering the dam. 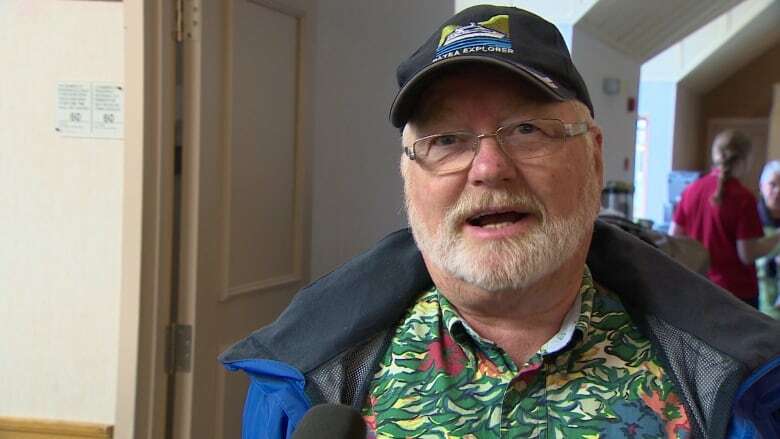 (CBC)Gary Sharp attended the meeting to show his support for repowering Mactaquac. "There would be no reason for us to get rid of it. We have an incredible environment that's been created by the dam, with Mactaquac Park, Kings Landing, recreation on the headpond," said Steel. "We like our environment just the way it is." Alexander Brewer of French Village Road attended the meeting as his home could be expropriated if the choice is made to rebuild and repower the dam. "I don't know what they're going to do, I guess that's what it really boils down to," said Brewer, whose wife is in her 80s with Alzheimers disease. "We're just guessing at this point. We may have to move, and at this point it's not pretty." There are also potential social and environmental impacts, depending on which option is chosen. The potential social impacts are laid out in a report by Dillon Consulting. The potential environmental impacts are contained in a consultant's report from Stantec. The reports have been made available by NB Power in advance of the public open houses this month, where people will be given the chance to learn more about the options or tell NB Power officials their thoughts.